Out now from Greystone Books is Brew North: How Canadians Made Beer and Beer Made Canada, an illustrated look at Canada’s brewing history by Ian Coutts. 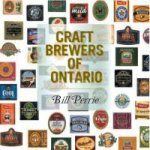 Brew North tells the delightful story of our national beverage, from New France and the British conquest, through Prohibition and the beer parlour era, and right up to the rise of the microbreweries. Lively and informative, Brew North puts beer lovers front and centre. Whether they are cowboys quaffing India pale ale in a western saloon, flannel-shirted working stiffs swilling Cinquante from brown “stubbies” in Montreal taverns, or modern-day beer snobs sipping pints of caskbrewed bitter and commenting on its “chocolate and cigar box bass notes,” this is the story of the men—and women—who brewed, served, and drank our national beverage. Brew North doesn’t just tell this story, it shows it. Early illustrations of rustic taverns and Victorian photographs of opulent saloons are combined with fantastic advertisements, giveaways, and gewgaws brewers have long used to market their product. It’s all here, from fussy Victoriana to fifties kitsch to today’s sophisticated ad campaigns. Beer built Canada. Now the classic era of Canadian beer is ending; brewery giants Molson, Labatt, and Sleeman are in foreign hands. At the same time, more small brewers are producing more interesting beers. A new golden age? Brew North arrives at a key moment to chronicle where beer has been and point to where it is going. 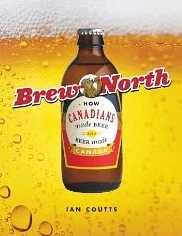 Brew North is available now in book stores and online retailers for a suggested retail price of $24.95. In the past decade or so, there have been numerous proclamations that the days of reference books are numbered, and sometimes it’s hard not to believe it to be true. After all, in an age where so much up-to-the-minute information and reference material can be Googled or Wikied at a whim, who needs a shelf full of yellowing books that are often out of date before they even leave the warehouse?